Fanatic Feed: Big Little Lies Launch Date, Quantico On the Move and More! We have some news for you out of Hollywood today. Some HBO, Netflix, Food Network and ABC. Check it out! 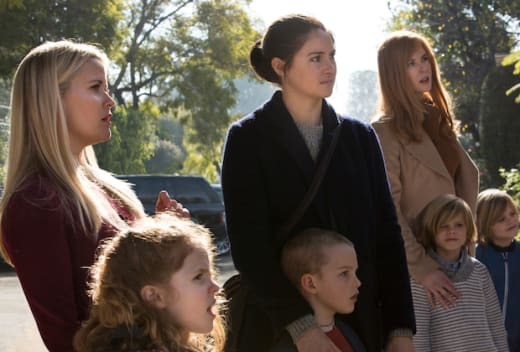 HBO's Big Little Lies has a launch date. The upcoming star-studded limited series starring Reese Witherspoon, Nicole Kidman and Shailene Woodley will premiere on Sunday, February 19 at 9/8c. The darkly comedic series based on Lian Moriarty's bestselling book of the same name tells the tale of three mothers of first-graders whose seemingly perpetual lives unravel to the point of murder. Big Little Lies is written by David E. Kelley and costars Alexander Skarsgard, Laura Dern, Adam Scott, Zoe Kravitz, James Tupper and Jeffrey Nordling. Quantico is on the move! Right after the fall finale this Sunday, The Quan2co Writers Room Tweeted that the series will resume Quantico Season 2 on ABC Monday, January 23 at 10/9c. We don't know if that means freshman Conviction will have aired its full run of 13 episodes, if it will be on the move, as well, or held for a later date. 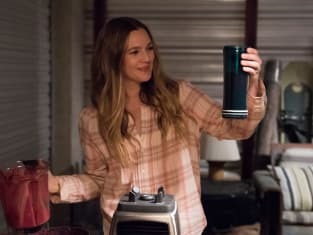 Netflix has released two photos of it's upcoming series Santa Clarita Diet, starring Drew Barrymore and Timothy Olyphant as husband and wife realtors Shiela and Joel Hammond. They're leading vaguely discontented lives in the L.A. suburb of Santa Clarita with their teenaged daughter Abby (Liv Hewson), until Sheila goes through a dramatic change sending their lives down a road of death and destruction...but in a good way. The dark comedy will drop worldwide on February 3, 2017, only on Netflix. Good news for foodies out there! 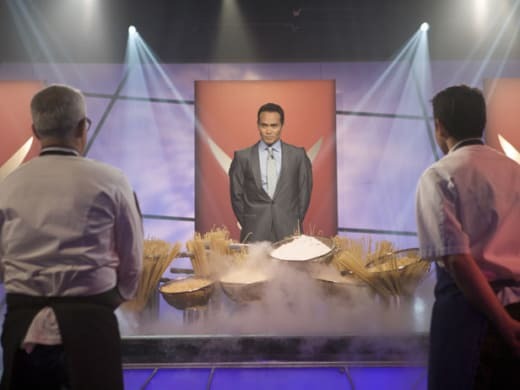 Food Network is planning on bringing back another iteration of its long running series Iron Chef America, which was based upon the original Iron Chef From Japan. The new series would be called Iron Chef Gauntlet, and as a fan of both original Iron Chef series, I can only hope that by adding "Gauntlet" it means chefs will be really be given tough foods to infuse into their menus. Iron Chef America had Battle Bread, Pasta, Thanksgiving, Cheese, Sausage and all kinds of easy peasy items, while the original Iron Chef used to throw really difficult delicacies at their chefs. That was fun stuff! Commentator Alton Brown is set to return as host and mater of ceremonies and the target launch date is second quarter 2017. 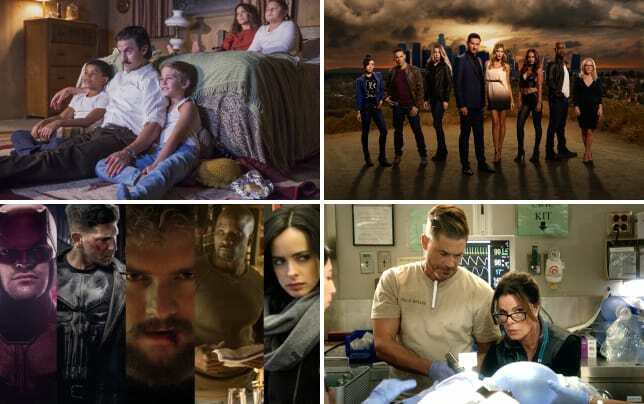 Fanatic Feed: Younger Move Canceled, Lily Collins Books TV Return and More! Fanatic Feed: Rachel Bilson Returns to Fox, black-ish Spinoff Finds Its Leads & More!